WELCOME TO JAPANESE STEAK AND SEAFOOD HOUSE! The right place to have fun! 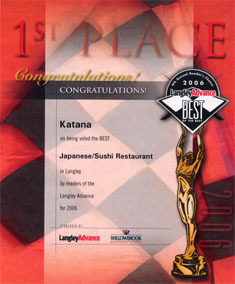 KATANA IS ONE OF THE LOCAL “HOTSPOTS”. Welcome to Japanese Steak and Seafood House! Please enjoy the finest Steak and Seafood skillfully prepared. We committed to satisfying our customers completely while providing the most pleasant, clean ambience. We cook before your eyes! We cook before your eyes!! 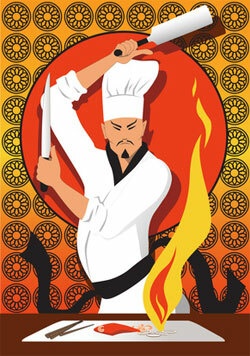 Enjoy the great flair by MASTER TEPPAN-YAKI CHEFS AT YOUR TABLE TOP GRILL.